The total word count on these articles is 6,545 words and includes a BONUS REPORT "How-to-Save-Money-on-Groceries"
Do you ever roll your eyes with dismay when the seemingly dull subject of personal finance comes up? Do you find interest rates anything but interesting? Do you think that stock is that thing you make soups and stews with? And, have you ever mistaken the credit crunch for a cereal? If so, sit back, and enjoy the personal finance article that was written especially with you in mind. We’ll cover some of the most popular credit card and stock market investing terms that, truth be told, everyone should know about (but many don’t). Here are a few facts to impress your bank manager the next time you go begging for a loan. There are roughly 609 million credit cards in the USA with the average adult owning 3.5 (I’m not sure which idiots are roaming around with half a credit card). 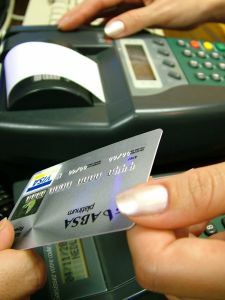 According to a Moody’s report in 2012, the delinquency rate for US credit cards (30 days) is 2.93% - and perhaps the most alarming fact of the lot is that the average credit card debt stands just shy of $16,000 per household.